Bourbon, Cocktails, Jack Rudy Cocktail Co. Apologies all around for the shameful lack of posts here in the last few weeks. I’ve been busy going on some trips, having guests visit and (gasp!) trying to get a job. But I’m back on the train, dammit! More to come this week, I promise. One of the best things about living here in Savannah is that the weather is awesome nearly year-round – let’s just pretend the summer doesn’t exist, okay?! – and thus lots of people want to come visit! We were lucky enough to have the lovely Jeremy and Attia Crews in town this past weekend, and lo and behold, it also happened to be Mr. Crews’s birthday weekend! So I’m concocting a cocktail in his honor. It’s the least I can do, really. But first, I have a confession to make. 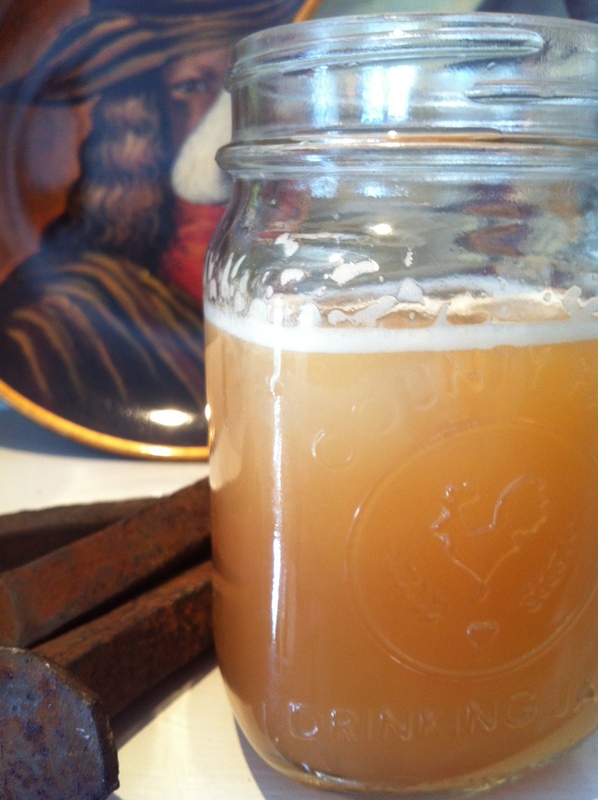 I often tout using the “fancy stuff” when referring to using any sort of juice in my cocktails – fancy apple juice, fancy grapefruit juice, etc. It really does make all the difference. 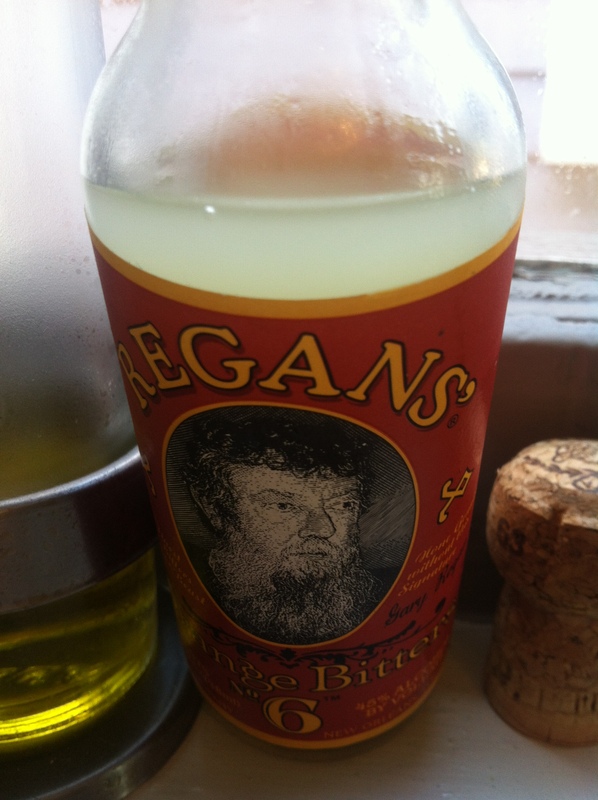 However, sadly, I have not extended this to my use of lime and lemon juice. It’s just so easy to buy those little bottles of lime and lemon juice from the store! No hassle! But I can’t continue to lead this double life, so I’m switching permanently over to fresh lime and lemon juice, as you can see here. 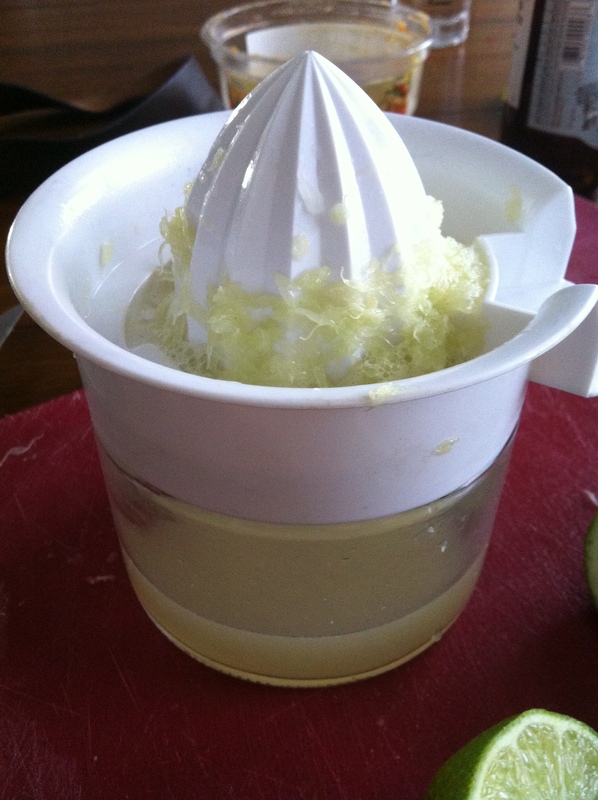 All it take is a little juicer like this – I bought this for about 4 bucks at my local grocery store. If you use a lot of lime of lemon juice in your cocktails, I highly recommend doing it. And look! I repurposed an empty bottle of bitters to store my lime juice in! It’s a perfect size for storing your lime or lemon juice. You don’t want anything too big, because you really only want to keep the lime juice for a week a most before making more. Damn, I love repurposing. Anywho, I digress. But before I get to the actual cocktail, I have to show you guys this. 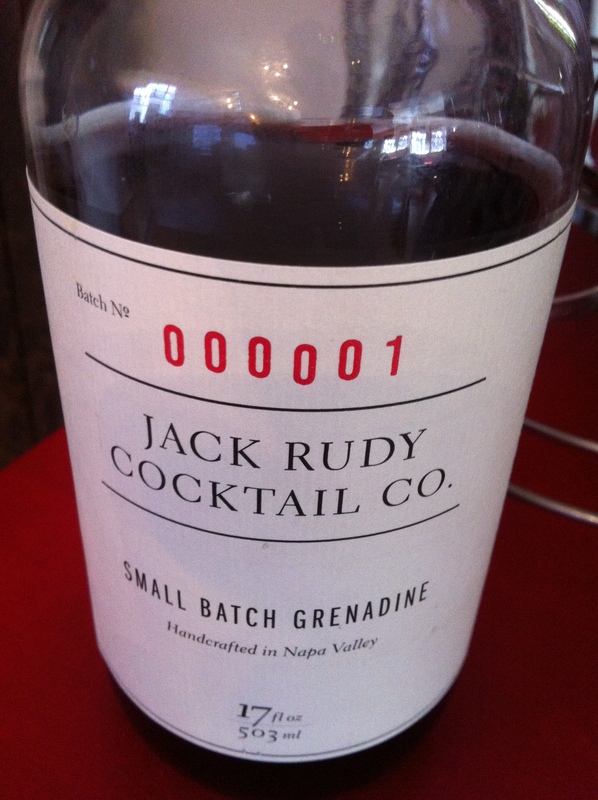 The fine folks at Jack Rudy Cocktail Co. have struck again. This time with some absolutely killer small batch grenadine. And in case you didn’t notice, this bottle is from Batch Number 1! I know I’m a dork, but I’m really excited by that. Anyway, you can go ahead and throw out all the grenadine in your house because this just rolled into town like Bonnie & Clyde and really tore up your town. Seriously, it’s spectacular. Just the right amount of sweet. Just the right amount of tart. I probably would have killed myself with Shirley Temples as a kid if the local soda shop had had this delectable stuff around. And now, finally, for the cocktail, in honor of Mr. Crews. Shake what ya mama gave ya and pour this into a rocks glass over some ice. Or serve it straight up – either way, it’s damn tasty. 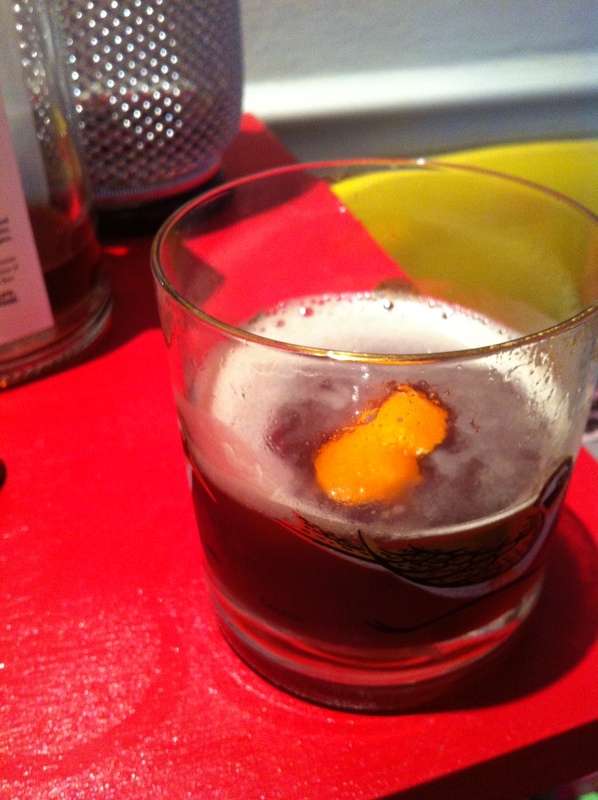 It’s like a Manhattan with a bit more pizazz, which I think its namesake would be into. Alright, I’m off to enjoy some 70 degree weather and prepare for our next visitors. More tomorrow! Remember all those days you spent during your youth, going to county and state fairs, devouring way too much cotton candy and making yourself a little (or a lot) ill from eating fluffy pink sugar that looked like insulation? No? Well, I do…I even remember making cotton candy for the 4-H club. I’m not sure why this happened. I was never part of the 4-H club. My memory on this is fuzzy, at best. Anywho, I digress. If you ever reminisce about the more innocent days of cotton candy and state fairs, then have I got something for you. I don’t know if you guys have ever tried this stuff, but WOWZA. It sure does taste and smell like cotton candy. I mean, holy beejezus. And it is SUPER sweet. Honestly, I’m not sure I could handle more than a few sips of this on its own. BUT! As a cocktail mixer, used in much moderation, it is pretty spectacular. Seriously, don’t go overboard with this stuff, but a little bit of it can really make for a lot of deliciousness. It took a few tries, but I managed to come up with a cocktail that plays to this particular beverage’s cotton candy strengths perfectly. I call it “The Insulator”. 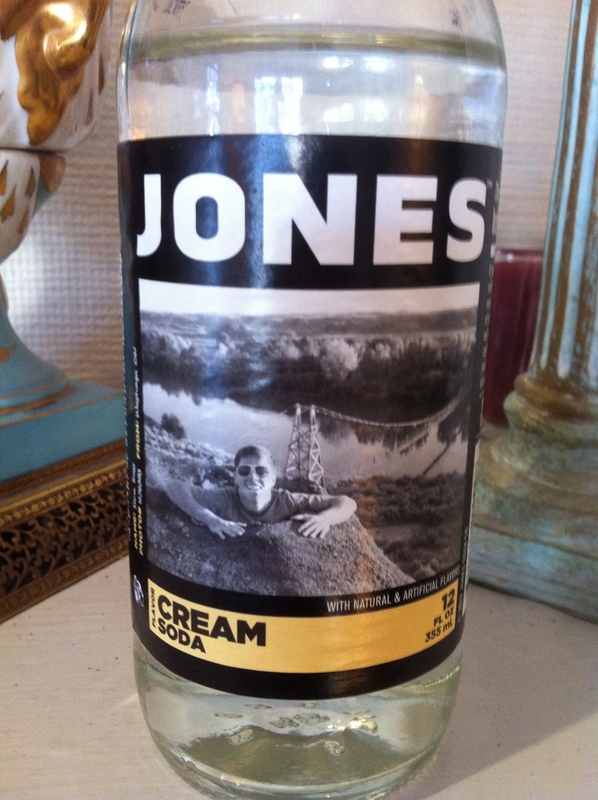 The grapefruit juice and the tonic really tame the uber-sweetness of the cream soda, and the seltzer mellows the whole thing out just perfectly. I really enjoy this one. Sweet and tart, but not overwhelming on either account. Holy crap, you guys. I just stumbled across this the other day, and I think it may have changed my life. Small batch tonic!! It’s FANTASTIC. I can’t really say enough about it. It’s very tart, a little sweet, complex and most importantly, incredibly delicious. 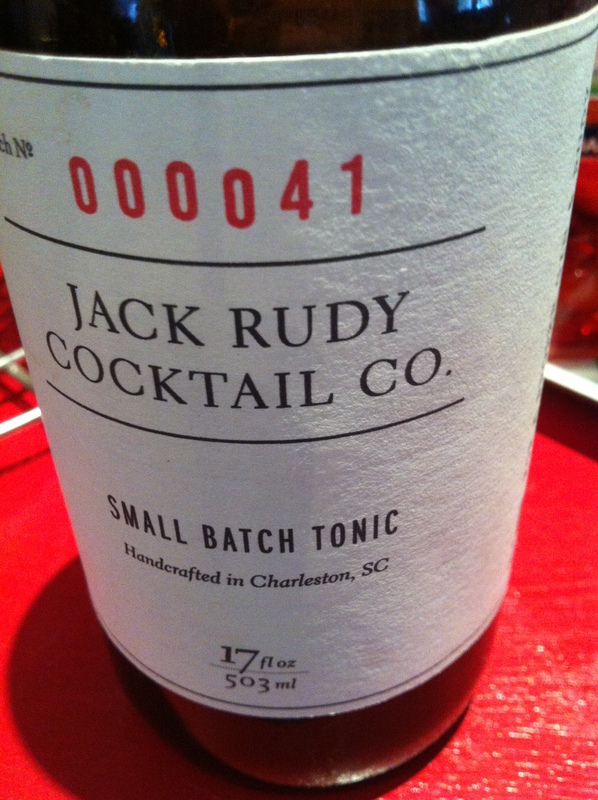 Head over to the Jack Rudy Cocktail Company for more info – if this tonic is any indication, they’re wonderful people and deserve a look! Now, the real intent of this magical elixir is to help make the perfect Gin & Tonic, which I’m quite sure it does. 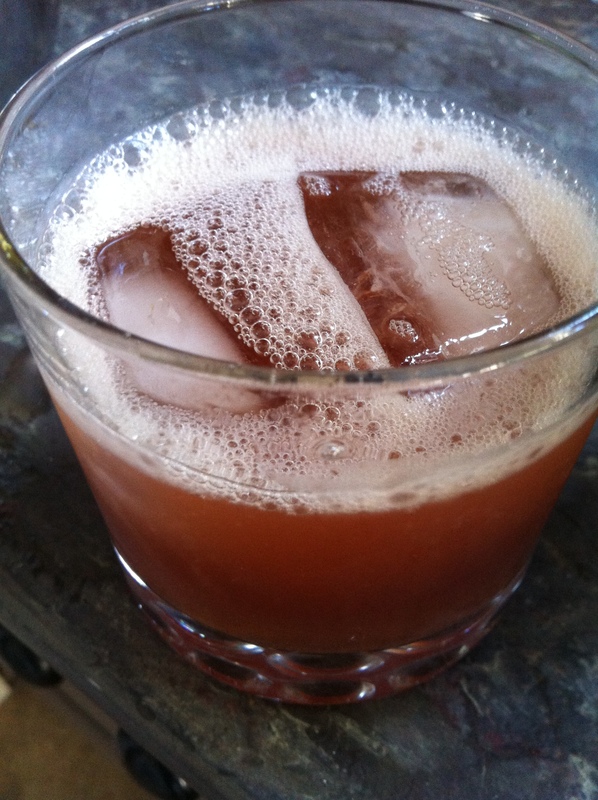 But we here at The Amateur Cocktailer – okay, I’m just one guy, but whatever – are prone to a lot of experimentation, and more importantly, a lot of bourbon love. So I decided to play around, and I must say, what I came up with is something that you maybe will want to drink for the rest of your days. I struggled with the name for a while – seems to be a trend these days – but I decided to go the simple route, with a little homage to the fine people at Jack Rudy’s thrown in. 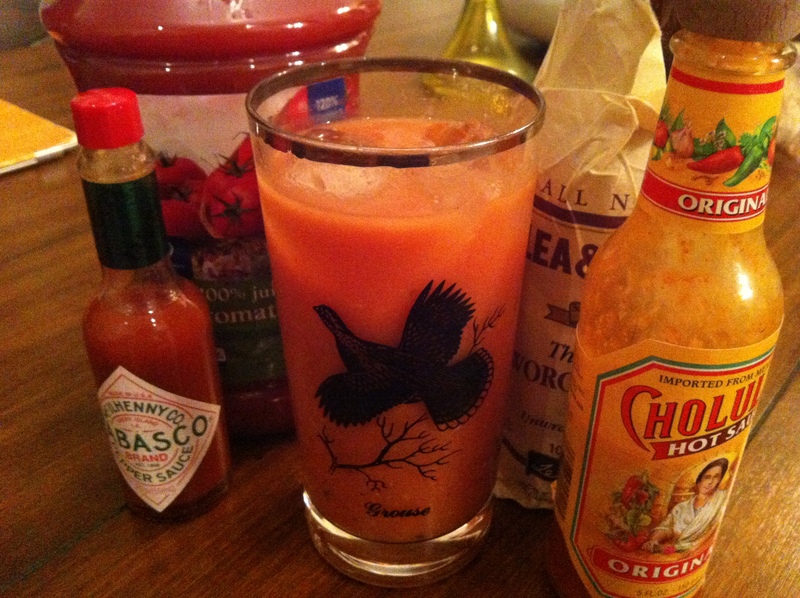 Shake all the good stuff up, pour it into your favorite glass straight up, and enjoy the hell out of it. I’m pretty thrilled with this one.